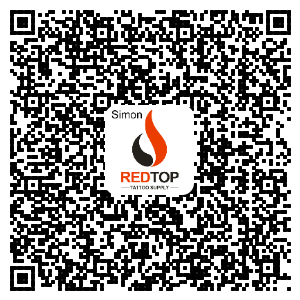 1.Click our website products to send inquiry or Contact with the site manager directly by email to: manager@redtoptattoosupply.com ,phone number or whatsapp :+86 18257909017. 3.Salesman will make a Proforma invoice,including value of each products,shipping cost and payment fee. 5.When we received your payment,will prepare your goods at once and also advise the shipping date. 6.After order be sent out,the tracking number will be sent to you. 7.When you received your goods,please check it at once and inform us if there any problem on goods. PayPal , Western Union , T/T ( Bank Transfer) and Money Gram,Credit Card. If you make a small order, normally you don't need to pay taxes. Taxes depend on your order. If your order is large enough, we will declare a low value for customs. If your country custom is special,please give us suggestions about the value declare. As you know, the shipping fee is depend on the freight weight and volume. If your order is large enough, the shipping fee will make considerable reduction. So please make order list with quantity and confirm with our salesman about shipping cost. Thank you and wish you have a wonderful purchase with us!! !